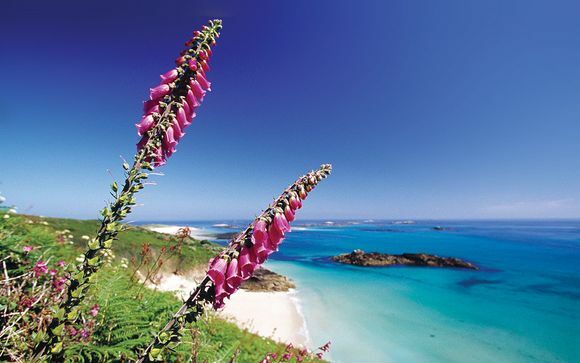 Enjoy a day trip to the more tranquil islands of Herm and Sark! 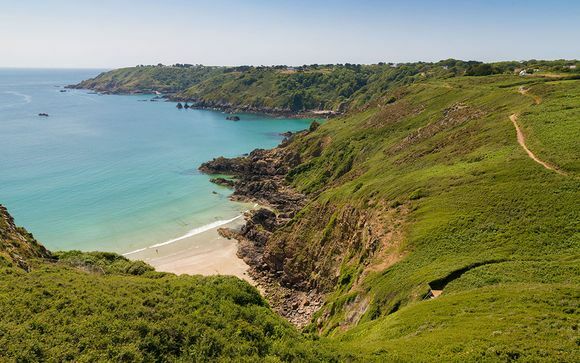 La Villette Hotel is peaceful and secluded yet easily accessible to St. Martins village and with a regular bus service directly outside the hotel - you are only 15 minutes away from Guernsey's capital - St. Peter Port. In this beautiful location sample the delights of Guernsey with its cliff walks, magnificent views, sandy beaches and water sports. Guernsey is a unique place. Due to its proximity to France and its quirky laws and customs, it feels like you're abroad when you come on holiday here. For most visitors, the island's coast is its greatest draw. There are 27 very different bays to choose from – some with long and popular stretches of sand, others hidden coves which rarely attract tourists. The beautiful south coast is lined with stunning cliffs best explored on foot. But this little island packs in many other enticements. Hilly St Peter Port, with its cobbled streets and Regency architecture, is one of the prettiest harbour towns in Europe. It includes two of the island’s top attractions, in the form of Castle Cornet, the 800-year-old fortress that guards the harbour, and Hauteville House, eccentrically designed by its one-time owner Victor Hugo. Elsewhere, you'll find several absorbing museums dedicated to the German occupation of Guernsey in World War Two. Open all year round, La Villette Hotel offers a restaurant, bistro, bar and an extensive health spa including a heated indoor swimming pool. Situated in the tranquil southern parish of St Martin, this Georgian House with extensive Leisure Club is set in its own grounds amongst colourful gardens, well cut lawns and surrounded by pretty flower beds and trees bursting with beauty. La Villette Hotel can accommodate up to 68 guests. 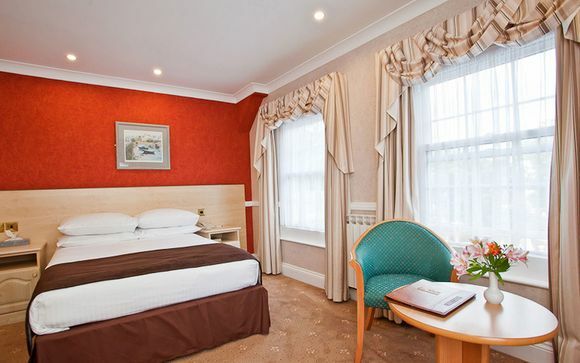 Offering a range of accommodation from suites, family rooms, doubles to spacious singles. Each room is stylishly decorated to an exceptional standard of comfort and pleasantly furnished for all your needs as a holiday maker or business client. Every room is fully equipped with en-suite facilities, free wireless internet access, hairdryer, trouser press, state of the art flat screen televisions, radio, direct telephone and complimentary tea and coffee making services. The Restaurant, Bar and Bistro offer a relaxed environment to enjoy a balance of English and Continental cuisine thoughtfully prepared by experienced kitchen staff. In the very popular bistro, La Villette offers an extensive À la carte menu with a vast array of daily specials, where you can also enjoy a drink from the bar. To compliment this, enjoy a fully comprehensive wine list from various countries and a professional service from friendly and efficient staff. Just for you: Day trip to Herm including lunch at Mermaid and day trip to Sark including full day bicycle hire! Herm Island is just 3 miles from the coast of Guernsey and measures a mile and a half long and half a mile wide. Herm is the perfect place to stay for a truly relaxing channel island holiday and is ideal for families and anyone wanting to "get away from it all". Once on the paradise island, enjoy beautiful unspoilt beaches and safe, clean pollution-free environment. There are no cars, no crowds and definitely no stress! 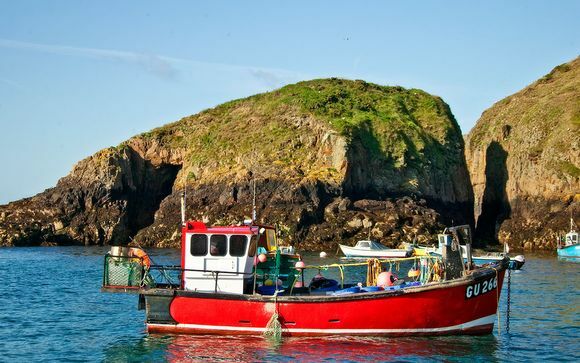 Sark is the crown jewel of the Channel Islands, nestled in between Guernsey and Jersey, 80 miles south of England. Enjoy the car-free island, spectacular scenery, bays, coastal paths and cliff top views. Sark offers a truly unique holiday experience for those wanting to escape the bright lights and noise of the city. Transfers: shared transfers are included. Please note: flight details are given as a guide only and may change. We will however notify you in advance if flightsare more than 2 hours outside the time range given. Specific flights cannot be selected and confirmed timings will be shown on your official documentation from the tour operator. Flights are non-changeable and non-refundable at time of booking.